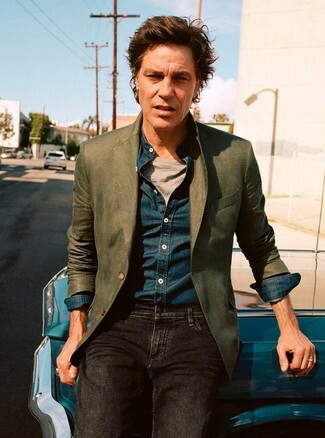 If you're on the hunt for a casual yet stylish getup, consider pairing a Societe Anonyme socit anonyme trip collarless blazer with blue skinny jeans. 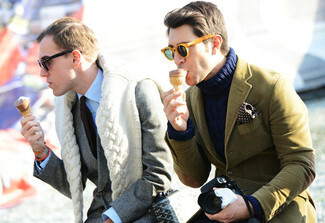 Both pieces are totally comfortable and will look great paired together. 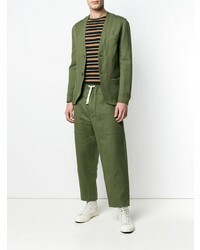 Consider pairing a Societe Anonyme socit anonyme trip collarless blazer from farfetch.com with navy dress pants for a classic and refined silhouette. 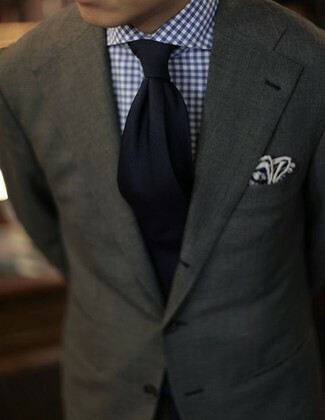 For a casually elegant getup, consider pairing a Societe Anonyme socit anonyme trip collarless blazer with a white and navy gingham dress shirt — these pieces the office beautifully together. 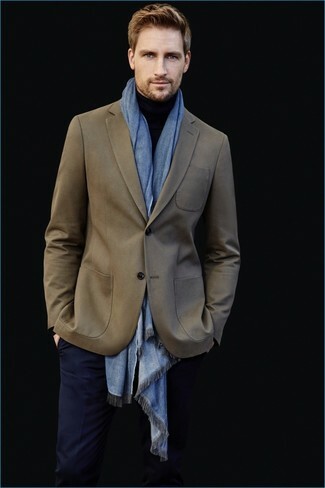 For a smart casual outfit, wear an olive blazer with a navy turtleneck — these two items work beautifully together. So as you can see, getuping stylish doesn't take that much time. 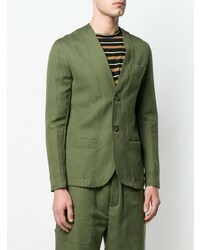 Just marry a Societe Anonyme socit anonyme trip collarless blazer with olive chinos and you'll look amazing. 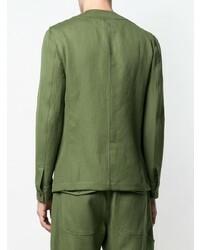 For something more on the daring side to complement this getup, throw in a pair of olive low top sneakers. 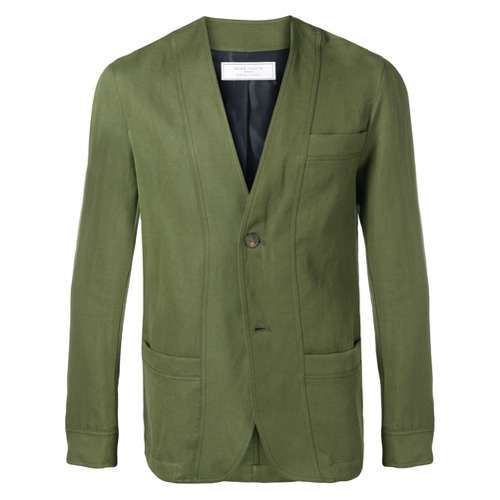 This combo of a Societe Anonyme socit anonyme trip collarless blazer and black chinos is very easy to put together without a second thought, helping you look amazing and ready for anything without spending too much time combing through your closet. To bring out the fun side of you, round off your outfit with dark brown leather sandals. 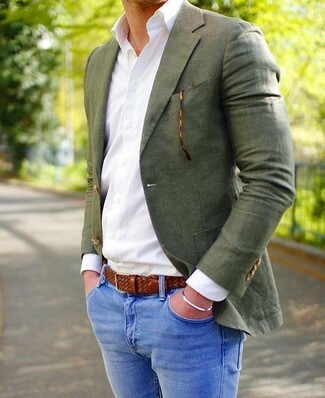 If you're on a mission for a casual yet on-trend outfit, make a Societe Anonyme socit anonyme trip collarless blazer from farfetch.com and navy skinny jeans your outfit choice. Both pieces are totally comfortable and will look great together. 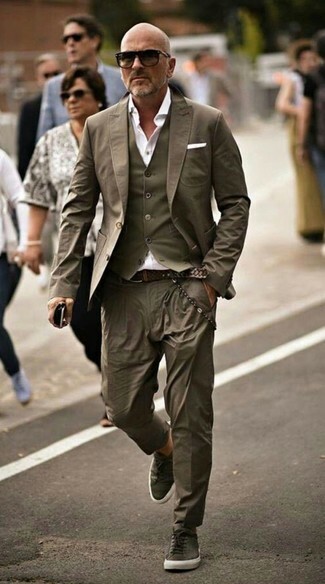 Elevate this ensemble with dark brown leather double monks. 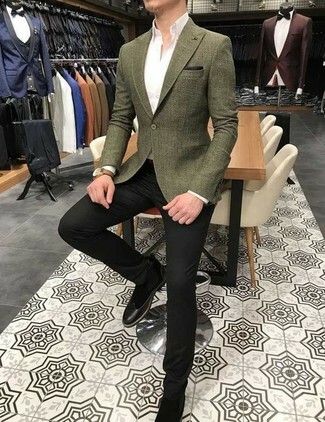 This combination of a Societe Anonyme socit anonyme trip collarless blazer and black jeans is so easy to throw together in seconds time, helping you look amazing and ready for anything without spending too much time going through your closet. Try pairing a Societe Anonyme socit anonyme trip collarless blazer with black dress pants to ooze class and sophistication. 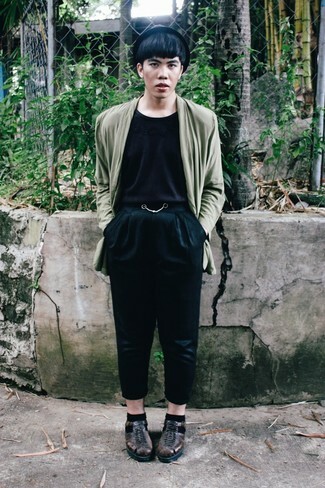 For something more on the daring side to complete this look, go for a pair of black suede chelsea boots.